Headline consulting partner, Chaucer specialise in digital transformation and programme management, delivering technology and data driven change. With expertise spanning consulting, life sciences and digital, Chaucer can help you to use SharpCloud to plan, visualise and implement strategic change in your organisation. SharpCloud Software and The Chaucer Group, business transformation and programme management consultants, have formed a partnership to meet the growing market need for data visualisation and dynamic reporting, across the Chaucer brand, focusing on their areas of expertise; Consulting, Digital & Technology, Financial Services and Life Sciences. Working together, SharpCloud and Chaucer offer best working practices around consulting and insightful software for business. Enterprise customers will receive a unique service with Chaucer being responsible for the process and data integration, alongside SharpCloud software providing the best solution to problems around project and risk management, enabling more meaningful insight, more efficiency and ensuring a saving of both time and money. The Chaucer Group are a team of professional business consultants with tested, practical experience in managing change and delivering successful business transformation. Operating in many different business sectors – from Life Sciences and Financial Services, to Energy and Technology, the team specialise in overcoming project management challenges and leading difficult change programmes to completion. Since 1987, they have kept many complex, global projects and business ventures on track from their regional bases in the UK and US or on location. The Chaucer Group bring solid and proven experience to the table. Whether you’re a large global business or a smaller specialist company, you will always be given an independent viewpoint when you need one. KITEWIRE is SharpCloud US, our full-service North American business partner. They handle all aspects of SharpCloud deployments; from sales to support and training. KITEWIRE is a unique partner – providing alternate hosting options in the U.S. Amazon GovCloud and the Secure Unclassified Network (SUNet), a Department of Defense (DoD) accredited environment. Both of which meet U.S. Government information assurance (IA) and security requirements. KITEWIRE (SharpCloud US) is a full service SharpCloud business partner providing SharpCloud software, technical support, professional services and systems integration for customers at the US Federal Government an North American companies. In addition to SharpCloud SaaS, KITEWIRE can also provide SharpCloud On-Premises or as a private cloud installation, they are GSA approved and manage SharpCloud for Federal Government from the US Amazon GovCloud. KITEWIRE is a best in class software development company with offices in Northern Virginia and Reno, NV. Working with both the Government and commercial sectors, KITEWIRE trains organizations to use SharpCloud’s goal-driven software to create evolving, crystal clear strategies that effortlessly combine acquisition planning, organizational mission, critical strategies, and technology innovation. KITEWIRE assists organizations in making the transition from legacy software tools, which are isolated, static, and one dimensional, to the transformative power of SharpCloud’s dynamic, collaborative, cloud-based ecosystem. Using the experience gained helping customers such as the Department of Defense, Department of Energy, U.S. State Governments, defense contractors and others, KITEWIRE will kick start your organizational transition to SharpCloud while meeting your IT security requirements. The dedicated staff at KITEWIRE works closely with the SharpCloud team. Continually collaborating and sharing feedback assures exceptional service for all North America SharpCloud customers. Founder, President, and CEO, KITEWIRE. "We're very pleased to be so closely partnered with KITEWIRE. 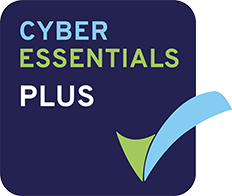 Their expertise and experience of working with organisations in highly regulated environments, alongside their unique hosting solutions, ensures all data security requirements are met and maintained." Headline technology consultant, Babcock International Group, specialise in delivering support service solutions to private and public sectors, across risk and programme portfolio management; innovation and strategic road mapping; and data modelling and governance. Together with SharpCloud, they can support customers operating in complex, regulated and mission critical environments to collaborate and visualise information in a secure and unique way. SharpCloud Software and Babcock International Group, a highly- skilled engineering services organisation, are working together to support customers operating in complex, regulated and mission critical environments to collaborate and visualise information in a secure and unique way. This new relationship combines the innovation and creativity of an agile technology provider with proven expertise in Babcock to deliver deployable, secure and domain assured solutions. The blended approach delivers a unique solution to risk and programme portfolio management; innovation and strategic road mapping; and data modelling and governance. Part of a developing relationship, this service is now available via the Babcock entry on the Government Digital Marketplace catalogue, with enterprise buyers already able to procure directly from the G-Cloud 9 framework. Chief Analytics Officer – Analytic Solutions, Babcock. T-Systems Multimedia Systems (MMS) is a digital consulting and integration specialist headquartered in Dresden, Germany. T-Systems Multimedia Solutions can provide SharpCloud to Enterprise customers with expertise in consulting, integration and hosting and help deploy and use SharpCloud in accordance with German data protection laws. T-Systems Multimedia Solutions GmbH and SharpCloud Software forged a partnership over two years ago to meet the growing market need for visualization software. T-Systems Multimedia Solutions provide SharpCloud's sophisticated visual communication out-of-the-box software with extensive full-service solutions for businesses of all sizes, while SharpCloud benefits from a strong consulting, integration and hosting partner. In addition, T-Systems Multimedia Solutions can provide SharpCloud to European enterprise companies with a clear understanding of the important data governance and security issues, all from the Microsoft Azure cloud. T-Systems Multimedia Solutions is a Microsoft Gold Partner and customers benefit as both companies are closely aligned with business and the cloud. In particular, the T-Systems Multimedia Solutions team has built up a high degree of expertise in data privacy and security and their team has extensive familiarity with the Microsoft cloud due to their early involvement in Microsoft Azure data centres in Europe. T-Systems Multimedia Solutions appreciates customer concerns on the important aspects of European data protection for business and personal data. T-Systems Multimedia Solutions facilitates the digital transformation of large corporations and medium-sized companies. With an annual 2015 turnover of € 154 million, it enables its customers to develop new digital business models for e-commerce, websites, intranets, social business and mobile solutions, as well as for big data, marketing, retail, and industry 4.0 initiatives. Leveraging its consulting and technical expertise with some 1,700 employees at seven locations, the digital service provider also offers dynamic web and application management. As a market leader, T-Systems offers the first certified test laboratory for the internet and multimedia industry, delivering the highest standards of software quality, accessibility and IT security. "Together with SharpCloud we can provide our customers with new possibilities for data visualization – for illustrating their strategy and roadmaps in a more attractive way, for example. I am convinced that by using this software our customers can be more creative, efficient and productive." "We are very pleased to be partnered with T-Systems Multimedia Solutions. Their ability to provide a full service solution around SharpCloud, including hosting, IT services and integration with experience and confidence on all aspects of European data governance is of vital importance to new enterprise customers". Asset Insights is an Asset Performance Management (APM) company that combines decades of engineering and asset management experience with the innovative adoption of digital technology to create unique APM solutions and services. SharpCloud has partnered with Asset Insights to address Transport and Infrastructure Markets in the UK. SharpCloud has partnered with Asset Insights to address Transport and Infrastructure Markets in the UK. They bring a unique set of business partner skills and are able to add value to clients on every step of their SharpCloud journey. We blend strategic account management capabilities with decades of experience of technology adoption and digital transformation within Engineering Service and Asset Management organisations. Our framework covers all aspects of commercial, procurement, IT service management, onboarding, training & awareness and communication, helping clients scale from the individual to the enterprise. From the formative stages of solution architecting and assisting with trials, through to automating data ingestion, fusion with existing corporate tools and creating bespoke reporting outputs, we help clients seamlessly introduce SharpCloud within their existing IT landscape. Co-Founder & Director, Asset Insights. Tell us about your business challenges and we will identify the partner with the right expertise to help you apply SharpCloud and achieve your objectives. If you have expertise that can be elevated through visual communication and collaboration, apply to become a SharpCloud Partner.